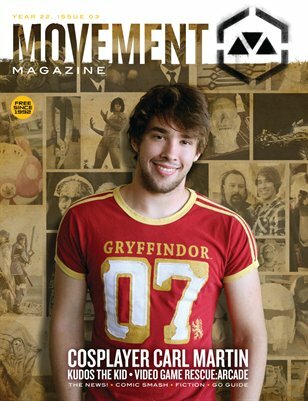 Cosplayer Carl Martin, Locals KUDOS THE KID, The ARCADE at Video Game Rescue + NEWS, GO GUIDE, FICTION, and comicSMASH! 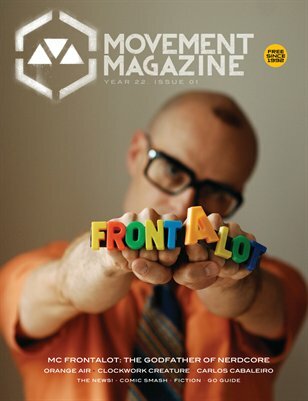 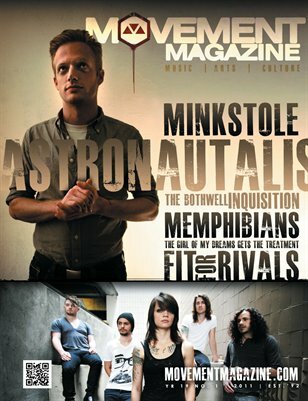 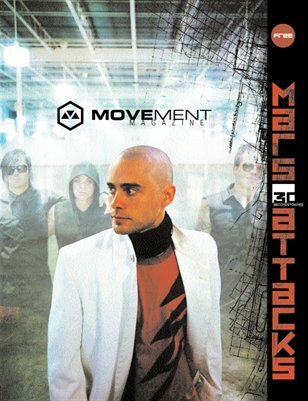 MC Frontalot, Clockwork Creature, Orange Air, the art of Carlos Cabaleiro, fiction, comicSMASH, theNEWS! 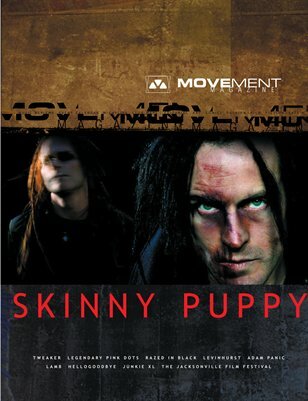 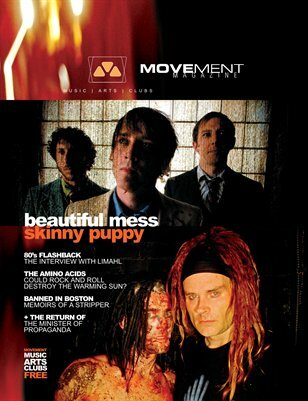 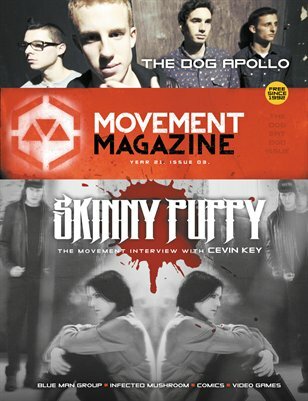 Featuring SKINNY PUPPY, The DOG APOLLO, Blue Man Group, Infected Mushroom, reviews and more! 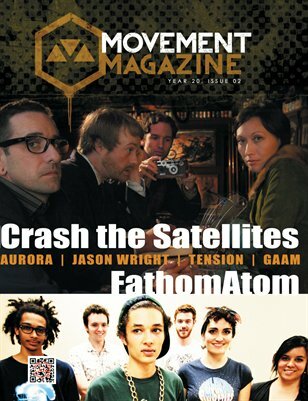 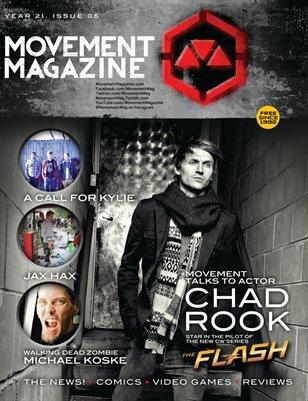 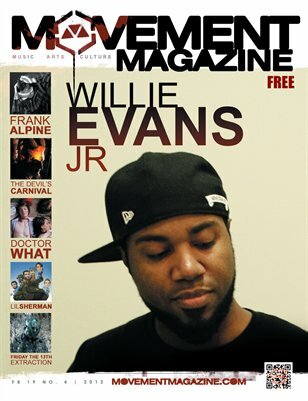 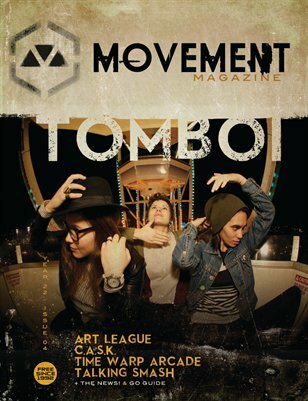 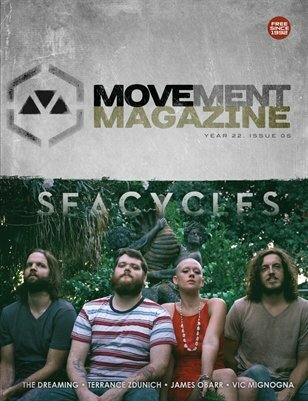 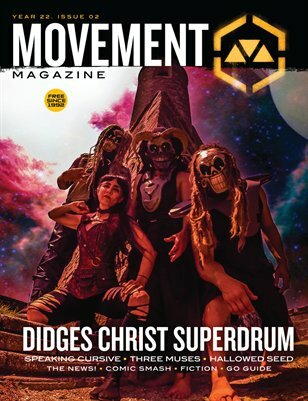 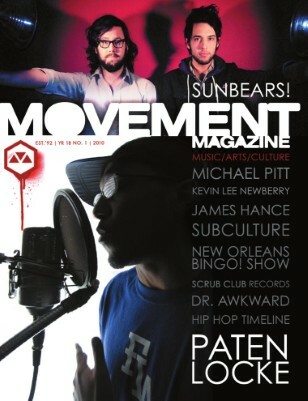 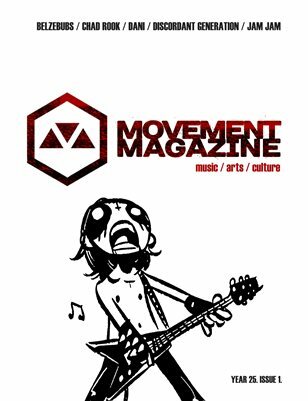 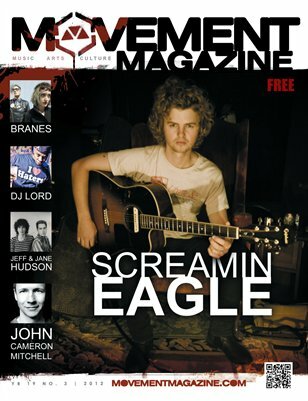 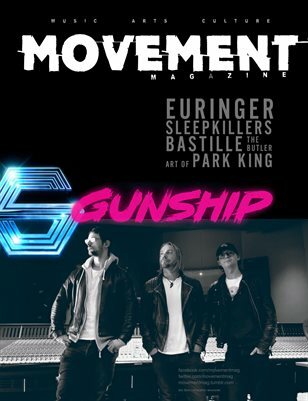 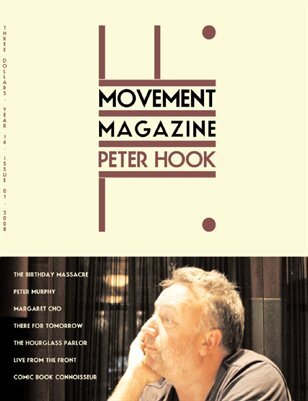 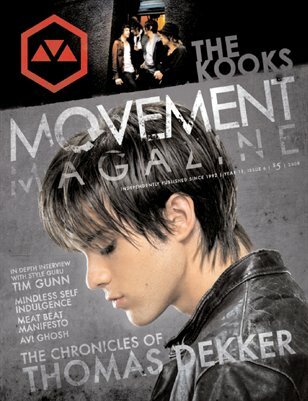 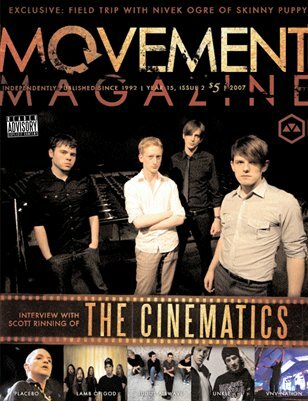 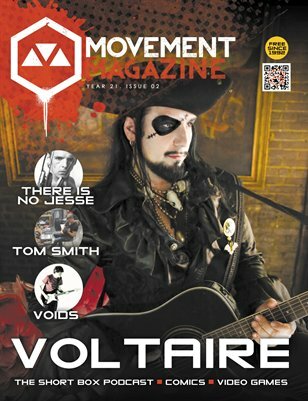 MOVEMENT - Music • Arts • Culture - Dec 2013 feat: VOLTAIRE, Mark Patton, Tom Smith, VOIDS, THE SHORT BOX podcast and comic and video game reviews. 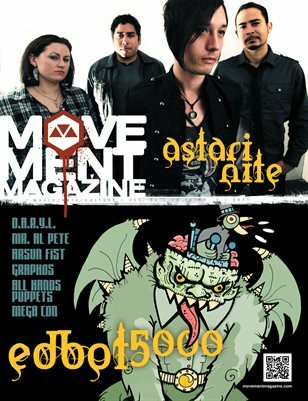 30 SECONDS TO MARS, DISMANTLED, CURSE ICON, MEAT BEAT MANIFESTO, PORCELAIN BLACK, EXIT FESTand more. 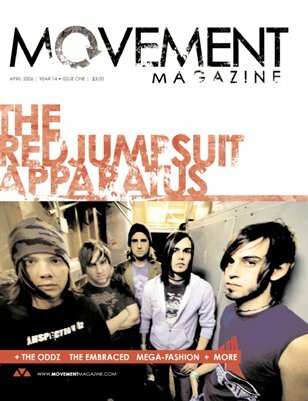 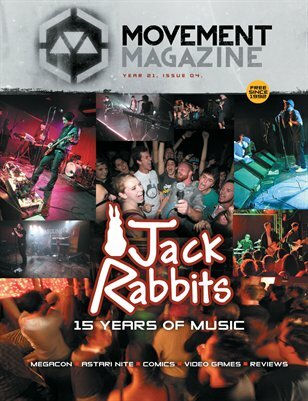 THE RED JUMPSUIT APPARATUS, THE ODDZ, THE EMBRACED, MEGA-CON FASHION and much more. 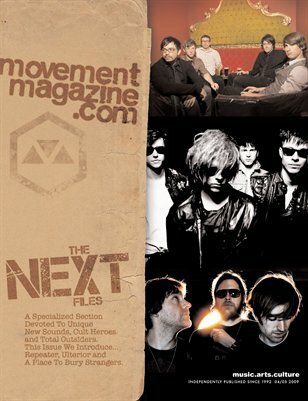 SHE WANTS REVENGE, THE SUBWAYS, BILLY WEST, SEAN CHAPMAN and much more. 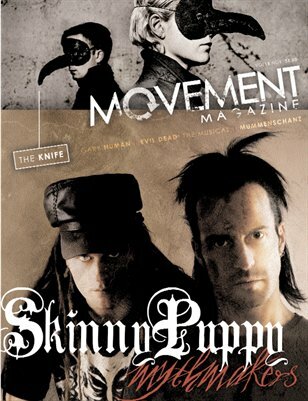 SKINNY PUPPY, THE KNIFE, EVIL DEAD: THE MUSICAL and much more. 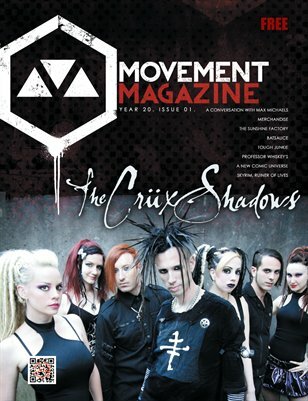 THE CINEMATICS, PLACEBO, OGRE, UNKLE, LAMB OF GOD, VNV NATION, JULIUS AIRWAVE and much more. 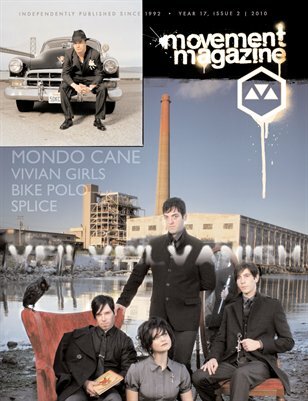 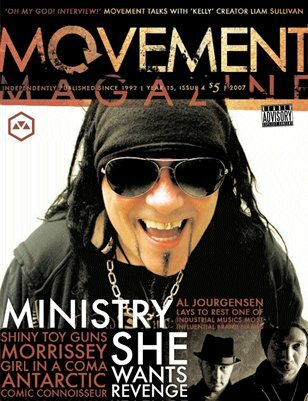 MINISTRY, SHE WANTS REVENGE SHINY TOY GUNS, GIRL IN A COMA, ANTARCTIC, MORRISSEY, KELLY and more. 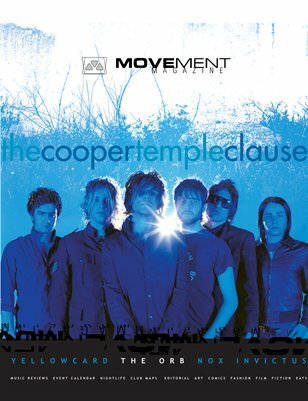 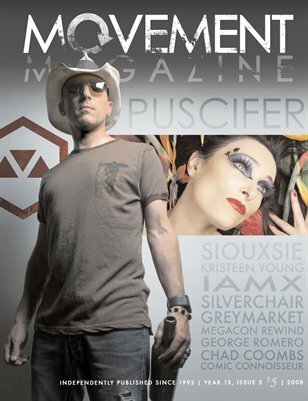 SIOUXSIE, PUSCIFER, SILVERCHAIR KRISTEENYOUNG, IAMX, GREYMARKET, CHAD COOMBS, GEORGE ROMERO and more. 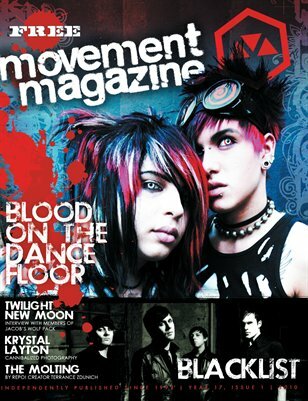 BLOOD ON THE DANCE FLOOR is featured along with BLACKLIST and an interview with actors from the wolf pack in Twilight New Moon.